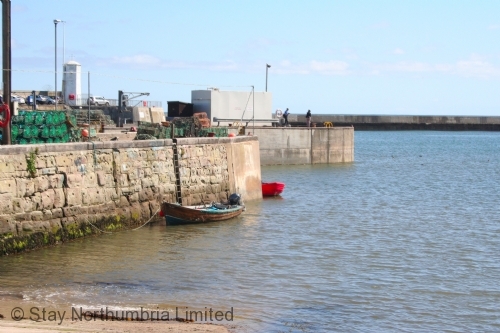 A great little cottage in a super location right on the harbour. Clean, well equipped and well presented; the only things that are worth mentioning are that the stairs are very steep so not ideal for any with reduced mobility, the utility could do with a few more (robust) coat hooks and the kitchen is rather small (only one person at a time really) so don't go planning on cooking any gourmet masterpieces. 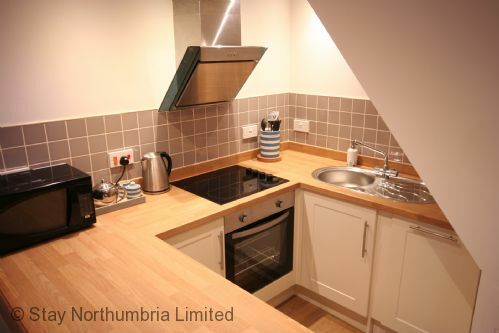 That said, the kitchen has everything that you need and there is the bonus of a dishwasher and a washing machine. On demand, unlimited hot water was great too. Worked really well for our family of 4 including 2 teenagers. 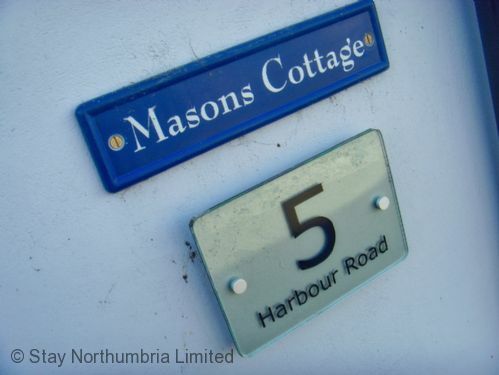 Many thanks for submitting a review of your stay at Masons Cottage. We are glad you enjoyed your stay and will pass your comments onto the Owners. Super little cottage which was exactly as described. Great position. 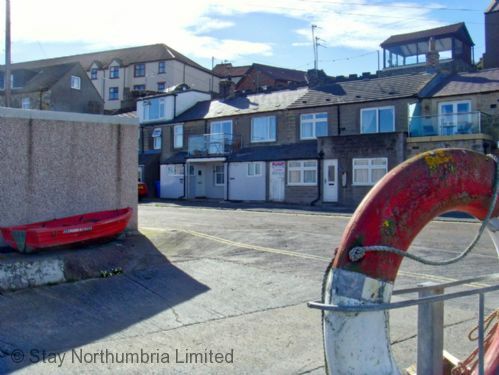 Handy for the boats to the Farne Islands and an easy walk into town and to be able to watch the goings-on in the harbour was lovely. We were very lucky with the weather in early May and were able to sit on the balcony for breakfast. The only addition I would make would be to have at least one small coffee table in the lounge. We used the dining chairs as somewhere to put our coffee mugs but these had a slightly sloping seat and would in no way be appropriate for a family with young children or animals. 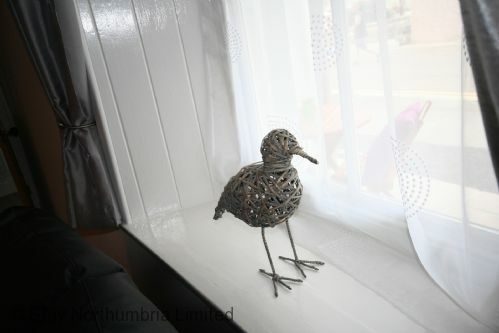 As I have often found with holiday rental properties it is in the finer details that things seem to get forgotten. The rug in the lounge was absolutely full of sand when I shook it out. The freezer needed to be defrosted and the wash powder/liquid dispenser in the washing machine was black and mouldy beyond where it could be seen on opening. However, these are relatively minor points which would in no way prevent me from staying at this property in the future. What a brilliant view from the main bedroom! 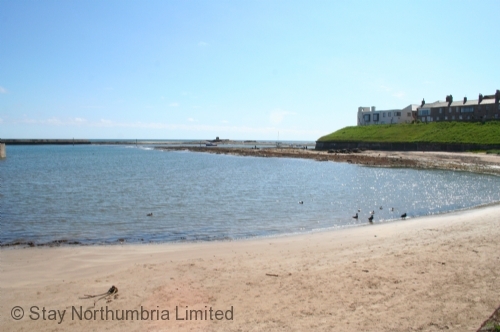 Great base for beach walks and to visit the Farne Islands. Restaurants and Pubs very Dog Friendly. Only downside was that there was a blockage of the main sewer pipe. Although this was cleared immediately by the owners, they were not particularly approachable. This is the second time we have stayed at masons cottage. 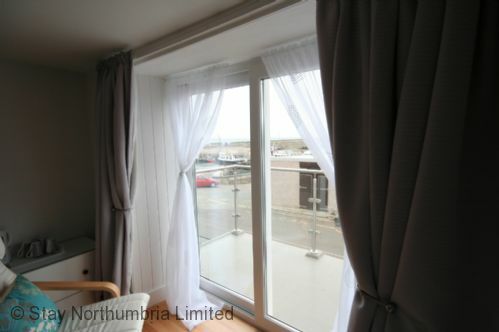 Excellent views of the farne islands from the bedroom balcony. Will definitely be back. Thank you for returning to Masons Cottage and enjoying your stay as much as the first time. We look forward to welcoming you back again in the future. An enjoyable holiday in homely surroundings. Our only 'complaint' (not really a complaint! ), comment I suppose, is that there was a lovely washing machine, dishwasher, microwave, and video player, but no instructions on how to use any of them. It would have been nice to take home clean laundry, and not to have to hand wash-up every day! The microwave would also have been very useful if we'd known how to operate it! We were obviously wary to use any of these appliances as to damage them due to misuse would have been our responsibility. Sorry to learn of that the appliance operating instructions were not in the property. The owner is now aware and will replace these (this could have been resolved if you had contacted the owner or ourselves during your stay). However, we are pleased you enjoyed your stay. 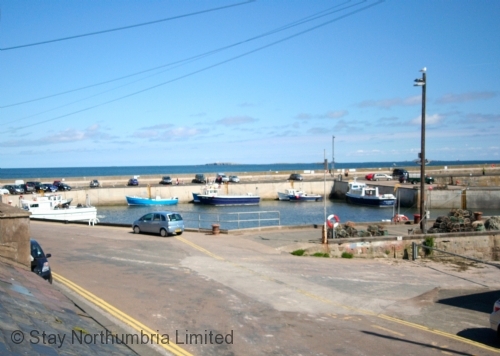 Well refurbed, Beautiful view, Right in the heart of Seahouses. We would gladly stay in this property again. Thank you for the review, we would love to welcome you back to Masons Cottage Harbourside in the future. this was our second stay at masons cottage, vast improvements on last years stay. we were assured none of the problems we encountered last year would be repeated. unfortunately this was not to be. 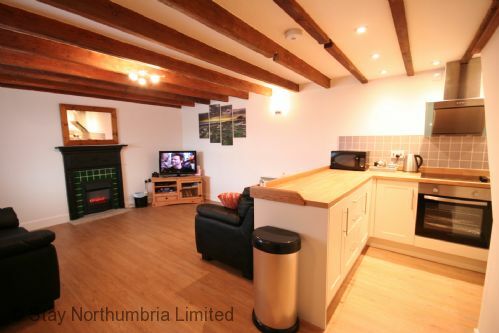 excellent location, unfortunately masons cottage is let down with the service you expect from rental cottages. 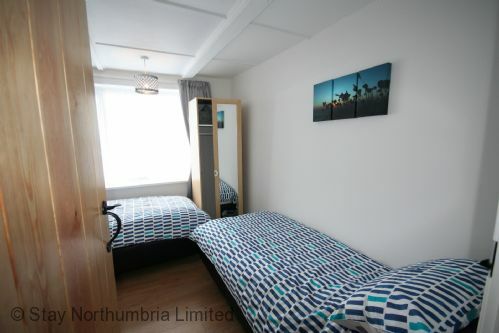 Oh dear, unfortunately this guest's review hinges around a mix up about a mid stay change of bed linen and towels, and the fact that in attempting to contact the agency she rang out of hours to an in hours phone number and didn't in any event leave a message. However, she did contact the owner of the property a few minutes later, who resolved the problem, delivering a set of linen & towels to the property within half an hour of the call. So, overall the problem was satisfactorily solved, but obviously apparently not to the guests satisfaction. The contracted laundry company have been made aware of their error and have put a system in place to avoid a recurrence. The cottage was very homely and comfortable. It was very clean and well presented and had everything we needed and more. 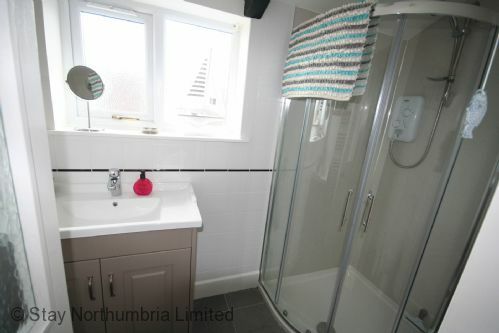 We had read reviews about the steep stairs being awkward in the night when visiting the downstairs bathrooms but the new handrails and lights were perfect and it wasn't a problem at all. The view from the upstairs of the cottage is lovely and the raised area with seating (and kettle etc!) in the main bedroom was perfect, we spent many a happy hour there! The booking process went very well. We contacted the owner/manager just once during our stay and they were very helpful. It was nice to know someone was available if necessary. The owner thing I would change is a booklet with info on the appliances but it is only a small point. Overall a lovely cottage in a fabulous area. Many thanks for the review and recommendation. The views are wonderful as you enjoyed. First stay in Masons Cottage and we would book again, Jim has done a very good job updating the cottage and is a very nice person we met him on our arrival seeing we got there early, the balcony is a very nice touch lets you sit out on a nice day and has a nice view. We stayed 4 nights at Mason's Cottage and wished we could have stayed longer. 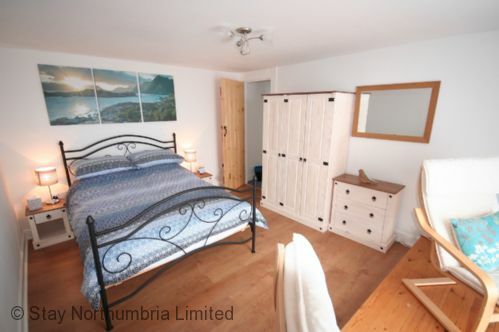 The cottage is warm, comfortable and very well equipped. 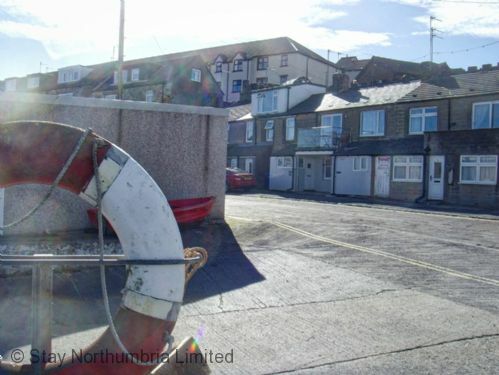 It's main selling point however is the location. 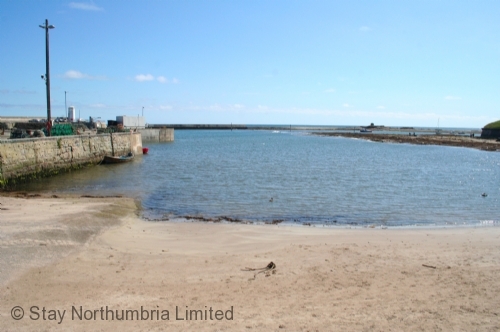 Not only do you have wonderful views of the harbour there is no need to drive anywhere as everything Seahouses has to offer is 2 minutes walk from the cottage. 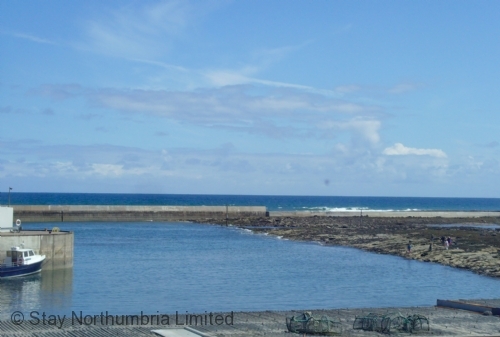 If you can tear yourself away from Seahouses the surrounding are is beautiful with Bamburgh Castle worth a visit. 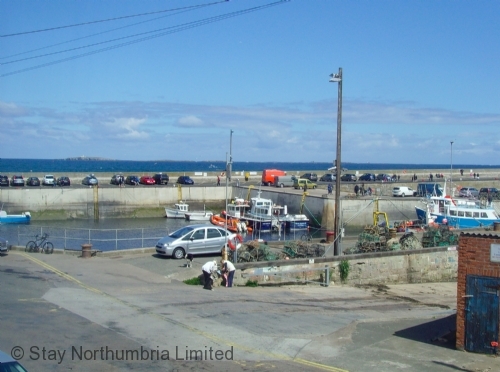 The boat trips to the Farne Islands are very worthwhile as is a visit to Lindisfarne. 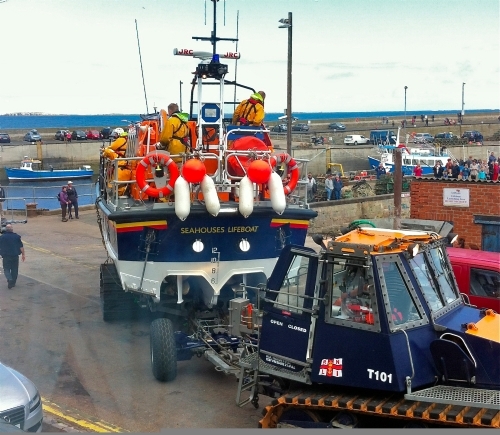 This is our 4th visit to Seahouses and it won't be our last. 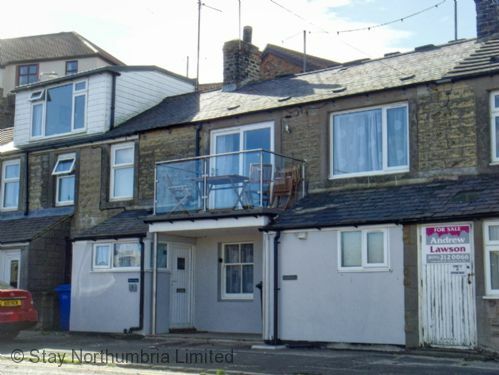 The only minor issue to note about this cottage is the stairs to the bedrooms are steep (it is an old cottage) and may not be suitable for someone with mobility problems.